The bigfoot legend gets a found footage twist in the new horror movie Willow Creek. Directed by comedian-turned-filmmaker Bobcat Goldthwait — who has described it as “The Blair-Squatch Project” – the movie stars Bryce Johnson (Pretty Little Liars) as a bigfoot believer who heads deep into California’s Six Rivers National Forest on a quest to record the mythical beast. He’s also accompanied by his reluctant girlfriend, played by Alexie Gilmore. 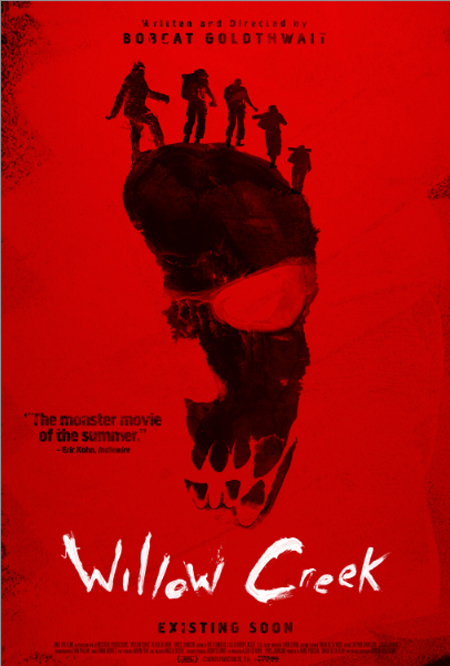 Willow Creek debuts in the US in theaters and on VOD June 6, but you can look at the pretty cool new poster.